There has been a surge of crossbow enthusiasm recently for avid archers, especially in the hunting arena. These are powerful devices that can be used in so many practical situations, it is hard not to get excited about them. Of course, seeing what one is capable of in The Walking Dead doesn’t diminish any of that enthusiasm. There is a lot to consider, though, when making a purchase. Our comparison will not only fill you in on our favorites, but give an overview of what each of them has to offer you. 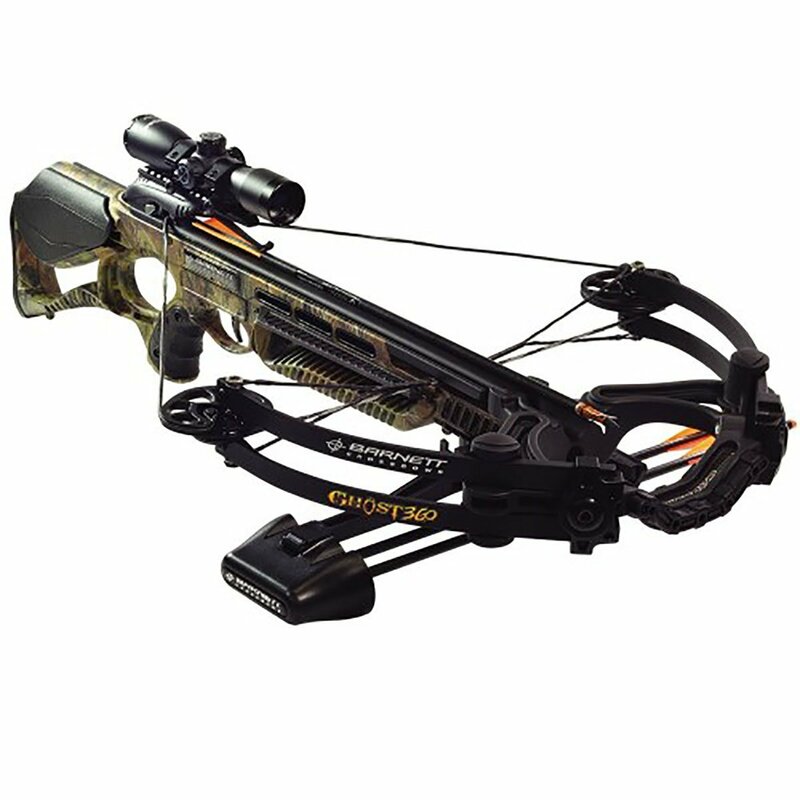 We will also give a few brief crossbow reviews for each of our favorites to get you going. The chart below contains a list of our favorite products. You will find each of the main product qualities to look for and a price range which you will find each product in. This should provide you a good base to start off with. If you’re new to the world of buying a crossbow, or you haven’t been on the market for one recently, I’m sure you’ve noticed that it can be an intimidating process to find the right one for you. Modern crossbows have come a long way in the past few years alone, so where is one to start? 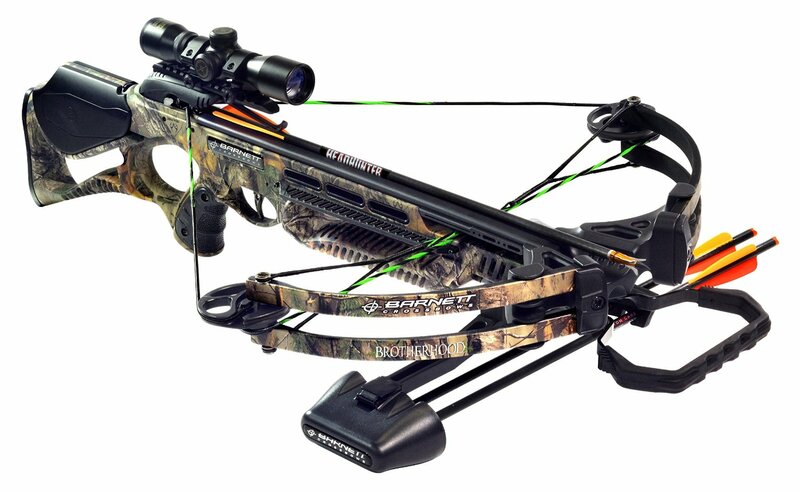 We feel like the best first step anyone can take when looking for a new crossbow is starting with your budget. Of course this will narrow down the selection you will have available to you, but it will make the comparison between crossbows much easier. Crossbows can usually be found with pull weights varying between 80 – 200 pounds. The amount of power you will need really depends on what you’re planning on hunting with your new crossbow. We’ve done some calculations for you, but before we get to them we have to go over some other important information. The weight of the draw is important in determining the velocity and force your arrow will hit your target with; the more force, the bigger the target you can take down. However, the draw weight alone isn’t enough to tell you if the crossbow will be capable of bringing down your target. The math is actually a bit more complicated than that. It ends up working out to be something like: on a compound crossbow, a 150 lb. draw weight with 13″ power stroke and a 400 grain arrow will equal out to be 302 feet per second. The velocity equals out to be 81 feet per pound. 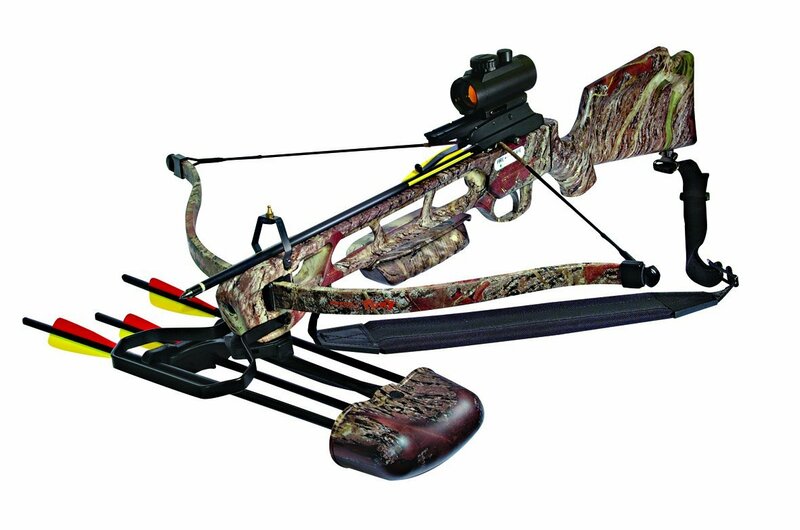 (This crossbow would be best used for taking out large and typically hostile game like Cape buffalo or grizzlys.) Whereas our second example is a little different: a compound crossbow with the same 150 lb. draw weight, but with a 9.5″ power-stroke and the same 400 grain arrow equals out to be 252 feet per second. The velocity tops out at 56 feet per pound. 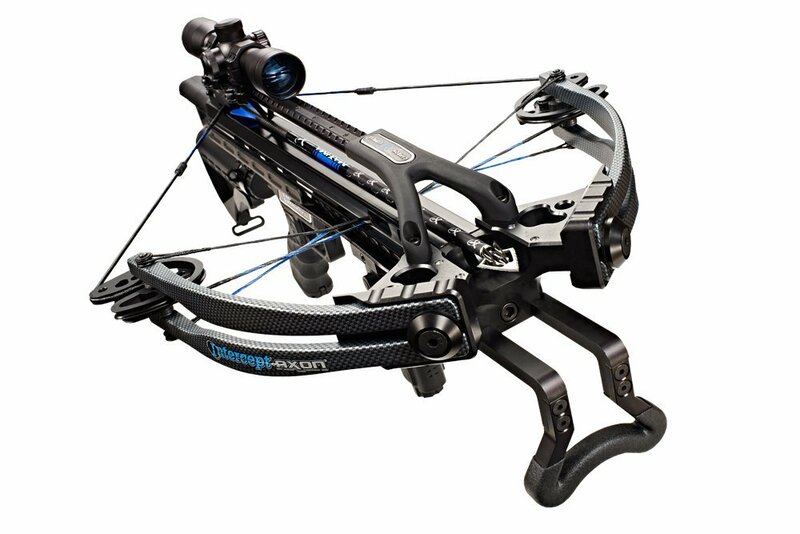 This crossbow would be better suited for smaller (but still decent sized) game like black bears or wild boar. So, in short: yes, the draw weight does matter, but so does the size of the power stroke, as well as the build of the crossbow. Like we saw in the examples above, compound crossbows are capable of delivering more power (and bigger game) with almost identical draw weights, arrow-grains, and power strokes as recurves. The reason for this lies within their ability to produce higher speeds upon release. The actual weight of the crossbow isn’t a pivotal consideration for most consumers, but it should be on the list of things to look at when purchasing a new crossbow. From a standpoint of preference: consider how much you will be walking, moving, climbing, or generally exerting energy while carrying it. 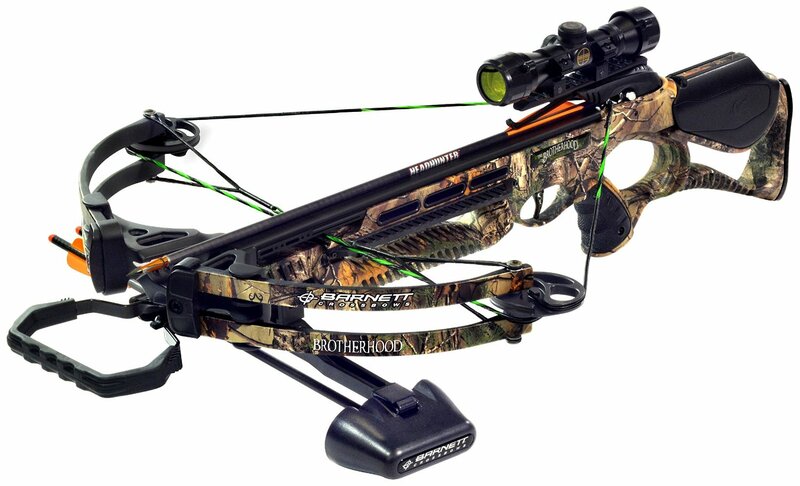 If you feel like you won’t be doing much moving; a heavier crossbow may be an option for you. On the other hand, if you feel like moving will be a big part of it’s use, you may want to opt for a lighter model. Typically, heavier models are easier to shoot and more accurate. This has to do with the bow’s weight acting as an additional stabilizer while the arrow is still within the crossbow’s guide rail. While this additional stability may only last for a millisecond, it ensures that your crossbow doesn’t “reposition” itself away from your intended target. Now that we have some of the factors to consider when buying out of the way, here are some brief reviews of our top picks to help your decision making process. While it may cost an arm and a leg, we think the Carbon Express is well worth the money. With tons of 5 star reviews many people would agree. For this price, there isn’t much that compare with it. This crossbow package not only contains the base bow, but with tons of accessories which give you everything you need to get started. Here are a few of the perks for this great crossbow. At this level, it can sometimes be hard to find crossbow reviews, so we were surprised when we found so many. Make sure to check them out and our full review to find out everything else about this great product. The Ghost 360 is another great option for people who don’t need the super-high end of crossbows. Skinned with a great camo cover, this is great for hunters who want something more low-key for blending in. It doesn’t just look good though – here are some of the perks. This Barnett crossbow is a great pick and will last you a long time. The build is strong and won’t break on you, so feel free to take it to the test. The Brotherhood is the younger sibling to the Ghost 360. While it doesn’t have all the bells and whistles, it is still a beat in it’s own right. It looks great and will last, so lets take a look at some of the more notable features! The Outdoor Brotherhood is an overall great pick. They are also a great starter option if you are new to the world of crossbows, so be sure to check out some of the other reviews to see what else this bow has to offer. The Centerpoint Sniper 370 is our favorite budget level crossbow. It doesn’t have near as many features as some of it’s higher end competition, but it still fires fast, accurate, and will last you for a while. There are still a few cool things though, and they are plenty to make this one to look at. You don’t need to spend a fortune to get a good product, and this is a shining example. There are plenty of reviews on Amazon that agree, so be sure to add this one to your checklist. Our last pick is the Inferno Fury. This would be a good bow for someone just getting started and not wanting to begin with a huge investment. We don’t believe the build quality is quite as good as some of the other products we reviewed, but it is more than adequate for the price. Here are some of the features you can expect with this one. The reviews for this one are a bit more mixed, but we still think it is a good product and would recommend this one for someone who is on much more of a budget.